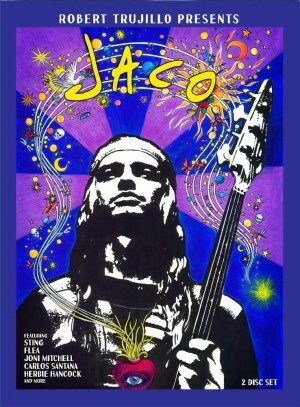 Produced by Metallica’s Robert Trujillo in association with Passion Pictures, JACO includes some incredible insights from an array of artists including Flea, Joni Mitchell, Sting, Wayne Shorter, Herbie Hancock, Geddy Lee, Bootsy Collins, Carlos Santana and others as well as Jaco’s family, and friends. It unveils the story of his music, his life, his demise, and ultimately the fragility of great artistic genius. There are few musicians who fundamentally change their instrument, and even fewer still who transcend their instrument altogether. Jaco Pastorius did both. 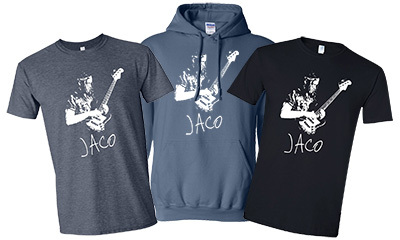 In 1976, Jaco’s melodic “singing” bass style redefined the role of the bass in modern music. Almost overnight, critics hailed Jaco Pastorius as “the future of modern music,” alongside popular visionaries like David Bowie, Tom Waits, Patti Smith, Bryan Ferry, Lou Reed, and Herbie Hancock. Driven only by his own desire to create the music he wanted to hear, Jaco transformed himself from a poor and unknown, scrappy Florida boy, into an international sensation — all without any formal musical training. Instead of chasing popular music, Jaco led his fans towards the music inside him. Defiantly jumping off amplifiers, heaving his bass through the air, and refusing to be just a “sideman,” Jaco broke down the barriers between audiences and genres. Unfortunately, for many of our most sensitive artists, great genius comes at great cost… and Jaco Pastorius was no exception. Now over 25 years since his violent and untimely death, his story will teach the world about true musicianship, family, and the indestructible power of the human spirit.